In June 2015 we ran a post entitled Three Environments for Disciple-Making about three spaces, or environments, to consider in your mission of making disciples. The environments identified in this post were Life-on-Life, Life-in-Community, and Life-on-Mission. 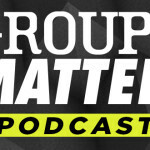 Rick Howerton and I have addressed notions of disciple-making environments on the Groups Matter podcast to some extent, but as a follow-up I am exploring these 3 environments with thought leaders in each. In October we got in touch with the author of Gospel-Centered Discipleship, Jonathan Dodson. In Gospel-Centered Discipleship, Jonathan unpacks City Life Church’s approach to Life-on-Life groups, or what City Life calls Fight Clubs. This time I tracked down another author, Steve Gladen, for a few thoughts on Life-in-Community and how this environment contributes to disciple-making. 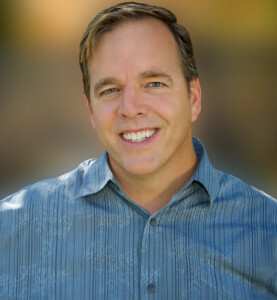 Steve has been the Pastor of Small Groups at Saddleback Church since 1998, where he oversees the development of over 7,000 adult small groups. Steve, thanks for taking a few minutes to address Life-in-Community with us. First thing: Saddleback literally has thousands of Life-in-Community groups, and you have decades of experience. What have you found to be the symptoms of a healthy, growing, disciple-making community group? You need a system. To have healthy groups a church needs to have a healthy, growing, disciple-making structure or organization. This begins with a well-defined “end game” in mind. That is, you need a very good idea of what a disciple looks like — what does he do, what does he think about, how does he interact, how does he practice the disciplines and in what context. Once you have defined this for your groups and taken measures to make this a part of your culture, then you put systems in place. I think in terms of guard rails. One guardrail is cognitive and the other is infrastructure. The cognitive guardrail includes initiatives like training, organizational tools, and curriculum tracks. Your infrastructure guardrail encompasses relational and technological support systems. The infrastructure is the interface. Group members will hardly notice or have a reason to be aware of the cognitive, yet it is the cognitive that contributes most to disciple-making. This is the mechanical component. The nuts and bolts. We give a lot of thought to our structure and work hard at keeping the machinery where it needs to be—out of sight and out of mind—so the infrastructure can work seamlessly as we facilitate the work of the Spirit in our groups. Saddleback is unique in a number of ways. Given this, how do you ensure that discipleship takes place in your groups? It may sound oversimplified, but to ensure that discipleship is taking place in our groups, we measure health as opposed to attendance or even growth! Attendance doesn’t get you health, but health gets you attendance! Whatever your disciple-making “end game,” you need to have tools that assess your health, training that equips leaders and coaches toward the objective, and curriculum that supports your model. Honestly, a lot comes down to vision and leadership. Your group ministry needs a clearly and narrowly defined objective for discipleship, and everything about your groups culture should align with this goal in mind. Language, Bible study, events, schedules, visuals. Everything needs to be checked against how the Bible defines a disciple of Jesus. We have developed our own health assessment and made it available to group leaders and coaches, but I realize not everybody has that option. It’s too much to get into here, but I do address it in Small Groups with Purpose (chapter 10). Something I’ve always been intrigued by at Saddleback is how its groups ministry engages its members at gender-specific levels. How do your groups uniquely minister to men and women? Because these relationships are important to community, we want to take existing gender relationships deeper into God’s Word, into their own stories, and into these relationships. A challenge to any strategy in this regard is that an individual can be in a couples group and a gender-based group—because they tend to be two different contexts—and be two different people. This isn’t healthy. So at Saddleback, to help people become more relationally honest and authentic, we shrink those circles. We want gender-specific groups to emerge from the Community Group. We do this through sub-grouping—two groups in one! This approach doesn’t require an additional commitment. How do we do it? Throughout any given month, I think there are three opportunities to sub-group: fellowship, discussion, and prayer. Fellowship may take shape as a girl’s night out or a guy’s night out. Other options are during the group time itself as women and men take on their discussion or prayer apart from one another. We’ve found this to be very effective. 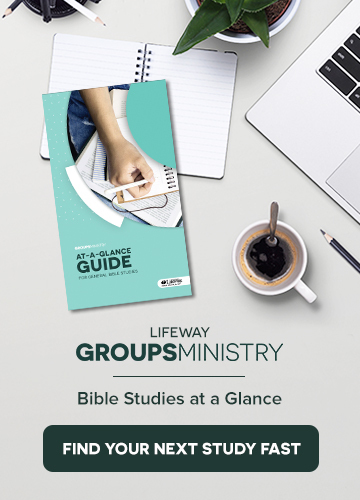 A few questions about group life: How do you approve or recommend content and Bible study, how often do groups meet or take breaks, and what can a group member expect during a typical group session? I referenced how we approach curriculum and Bible study earlier. First, it’s important. Organization, infrastructure, strategy, and logistics are important, but small-group pastors and leaders have to remember that what happens during group time is crucial. We are very intentional about curriculum choices, and these choices absolutely must support our paradigm of healthy, disciple-making groups. Either our Bible study and curriculum choices meet these expectations, or we are working in a way antithetical to our objectives and how we feel God has directed us. Obviously it’s not something we take lightly. Groups decide what curriculum they will use during any given season, but our staff does recommend a curriculum “diet” for a balanced discipleship strategy. About how often our groups meet and when they take breaks, my answer is more of a question: What kind of schedule or mentality is your church built on? In my experience I’ve seen a few, ranging from governmental, school, corporate, and family-based. We feel the Bible is built on a family system, so our groups are structured accordingly. If your church is built on a school system, then you take breaks consistent with the school calendar. A group in Manhattan may meet consistent with the corporate rhythms of their lives, or a group in downtown Nashville may be beholden to the legislative schedule. In a family system, it is built on relationship. The family approach that we have adopted may not look the same day in and day out. I outline what a group member can expect during group meetings in my book Leading Small Groups With Purpose. In a family system it is all about growing and developing you into a healthy disciple of Christ. Our groups aren’t going to surprise anybody. We believe in the meal, minimal snacks and drinks. Our groups use a lot of video-driven studies. This isn’t because we’re sold out to that as our preferred model, but because we’ve learned that it makes it less challenging to find small-group hosts. We budget 90 minutes, but I’ve been in groups that go much longer. Steve, I’m sure there are those that don’t make much of a distinction between “community” and friendship. How have you found that community contributes to the discipleship of group members? Discipleship is all about applying biblical truth to the lives of group members. In order for someone to apply this truth, they need to trust the person speaking truth into their lives. In order to obtain this trust, they need to spend time with you. Community provides the time to build trust so that when truth is offered it comes from a credible source. This leads to application. This is how community contributes to disciple-making. Just like in a family! It’s great to hear from Steve. I recommend you check out the Small Group Network and follow Steve on Twitter @SteveGladen. It was mentioned earlier, but Steve oversees the strategic launch and development of over 7,000 adult small groups on multiple campuses. He has authored Small Groups With Purpose, which has been translated into eight languages to date, and Leading Small Groups With Purpose. He frequently speaks at conferences and consults with church leaders both in the United States and around the world. He has a driving passion to see each church attendee connected to a qualified shepherd and become an integral part of their church body, living purposefully for Christ. He earned a Masters of Divinity from Fuller Theological Seminary in 1985, and a B.A. in Biblical Studies, with minors in Greek and Philosophy in 1982, from Evangel University. Steve and Lisa have been married since 1989 and have two children, Erika and Ethan.